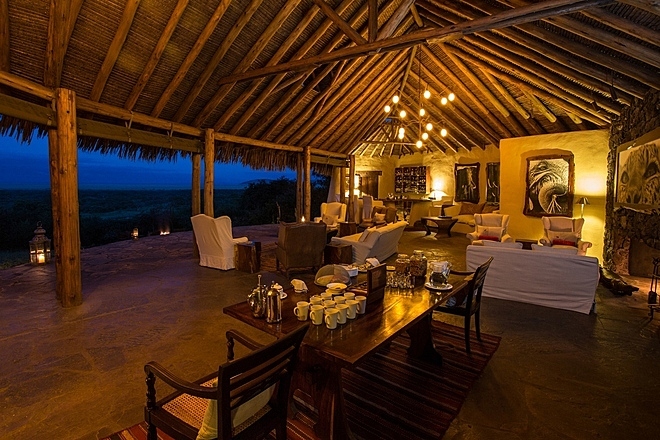 Ol Donyo Lodge is an upmarket establishment on a private reserve bordering the Chyulu Hills National Park, in southeast Kenya. Perched on a wooded hillside within the vast Maasai owned Mbirikani Group Ranch, the lodge boasts splendid views of the surrounding plains, and on clear days the iconic Mount Kilimanjaro provides a stunning backdrop. 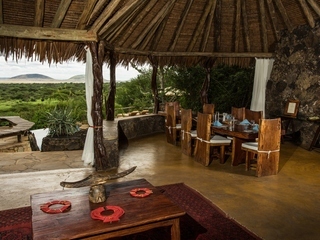 Boasting strong hosting and guiding and a good choice of activities, the lodge offers eight deluxe suites with plunge pools. 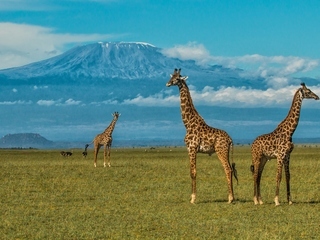 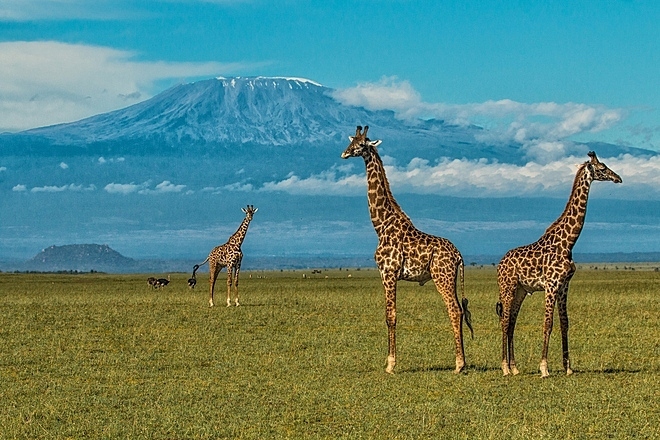 The surrounding wilderness is home to the big 5 (rhino, lion, leopard, elephant, and Cape buffalo) along with giraffe, oryx, zebra, and the elusive cheetah, and provides solid game viewing opportunities, although note that animal density is less intense than in the Masai Mara. 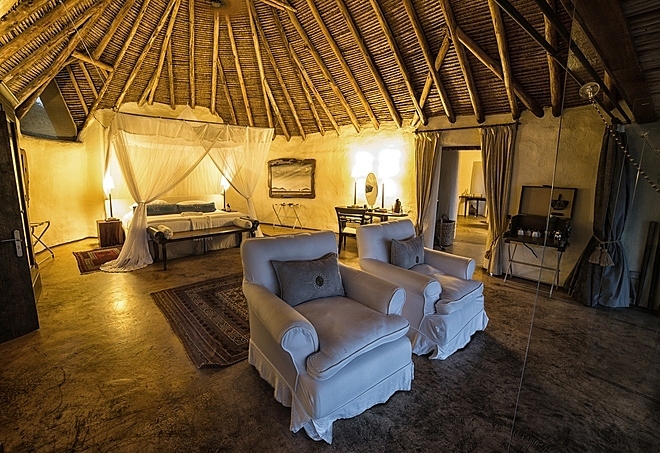 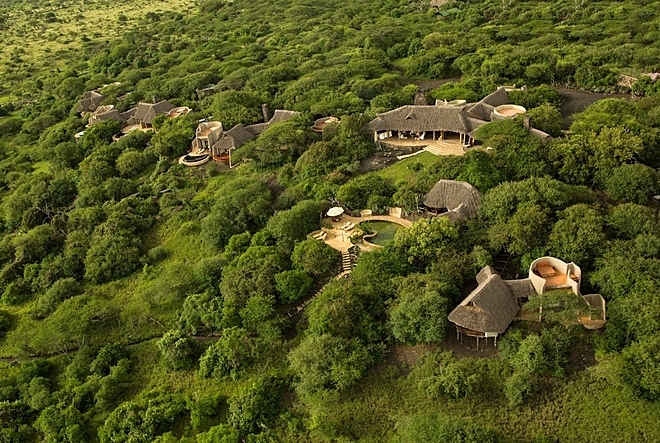 The stone main lodge has high thatched ceilings and an open-fronted aspect with panoramic views across the savannah. 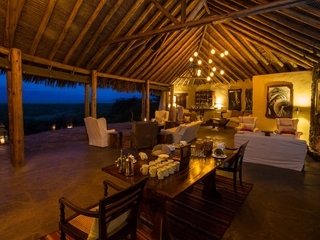 Communal areas include a cosy main lounge with an open fire, a dining area, bar, library, and gift shop. 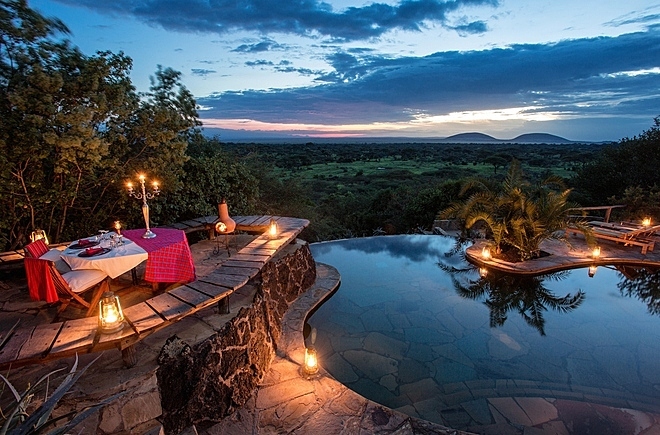 Outside is a spacious terrace with dining tables, a campfire area, and an inviting infinity pool with loungers. 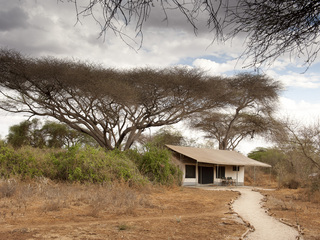 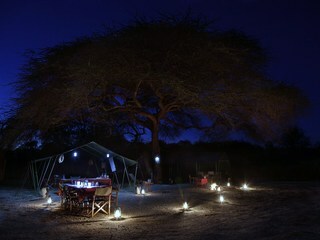 The camp runs predominantly on solar power, and supports eco-friendly initiatives including water and refuse recycling. The wide range of activities includes morning and afternoon game drives and night drives with informed enthusiastic guides, plus mountain biking, hiking, and guided walks. 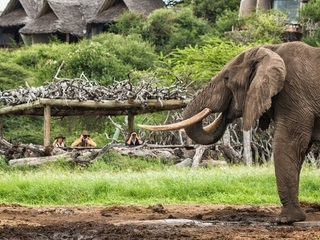 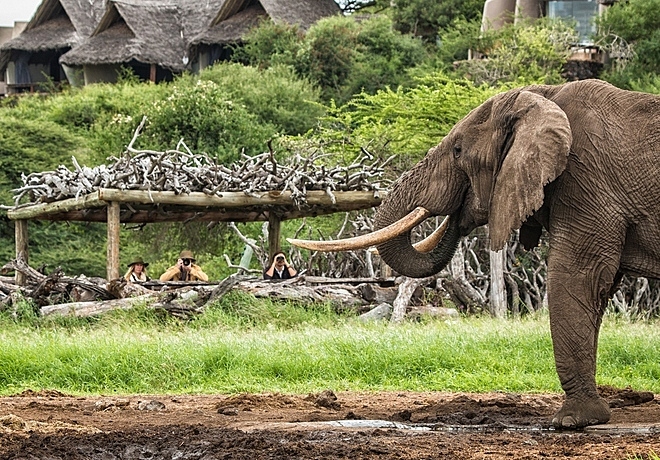 Exhilarating, up-close wildlife viewing is possible from a nearby log pile hide which overlooks an adjacent water hole. 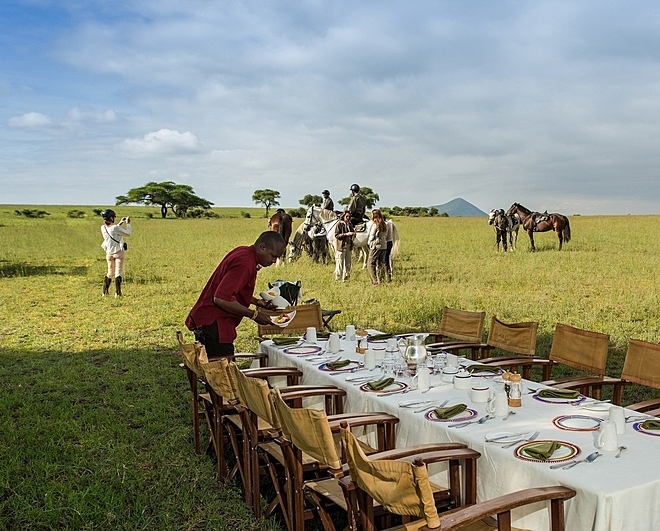 Horse riding is available for all levels of experience, including beginners and cultural visits to local villages and schools provide an authentic glimpse into the traditional Maasai way of life. 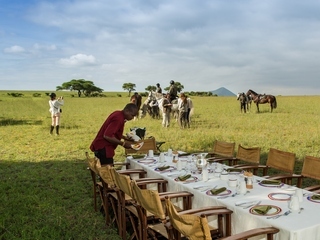 Bush breakfasts and dinners take place in stunning, atmospheric wilderness locations and in-room massages are available at an additional cost. 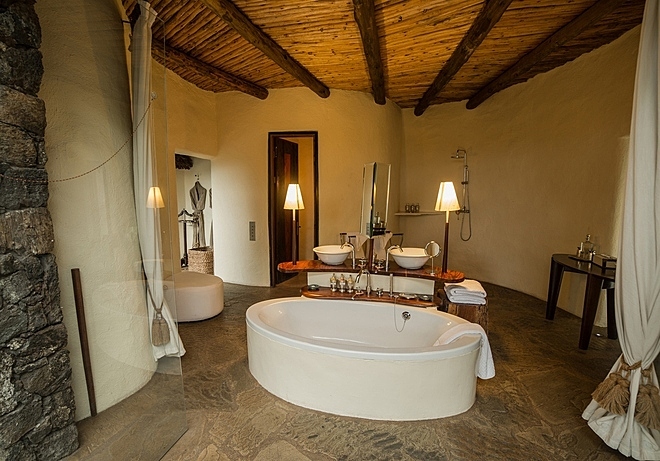 The accommodation comprises eight spacious, individually designed stone and thatch suites which stylishly combine traditional and contemporary African design. 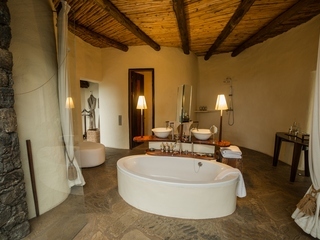 Each suite has a king or twin four poster bed draped with mosquito nets, a comfortable lounge, and an en-suite bathroom with twin basins, WC, bath, and both indoor and outdoor showers. 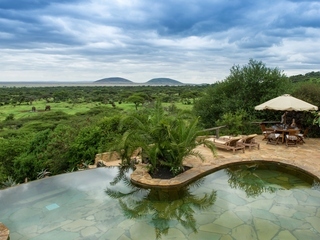 Tranquil alfresco verandas offer super views over a busy waterhole, whilst the majestic Mount Kilimanjaro looms in the distance. 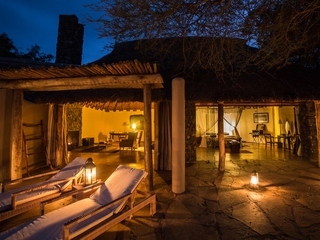 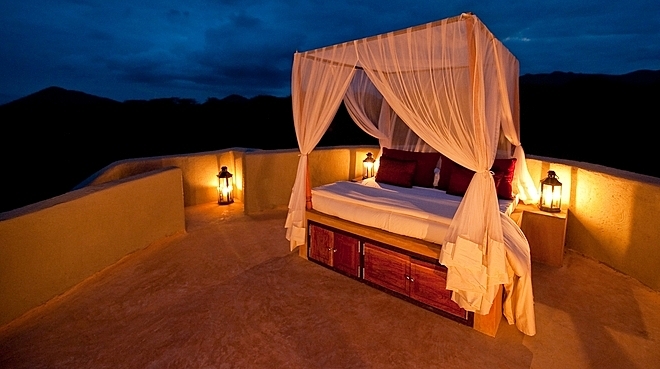 All suites also have a stone staircase leading to a private roof terrace equipped with a ‘star bed’ for unforgettable ‘sleep outs’ beneath African skies. 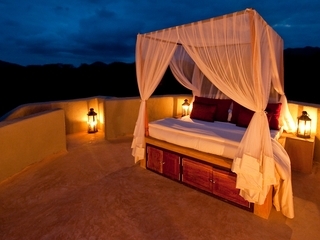 Six of the suites have their own private plunge pool, whilst two units have a shared pool. Children age five years and over are welcome at Ol Donyo, and discounts are offered for under 16s sharing with adults. 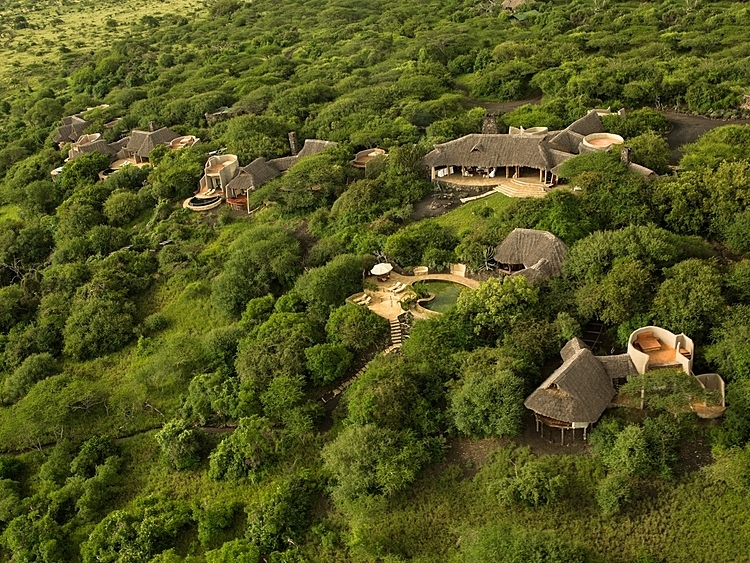 The camp runs a young explorers programme for children, with activities including bush skills, Maasai fire making, and arts and crafts. 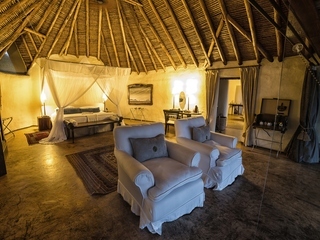 Two of the lodge suites interconnect to make a spacious two-bedroom villa, ideal for families or groups. 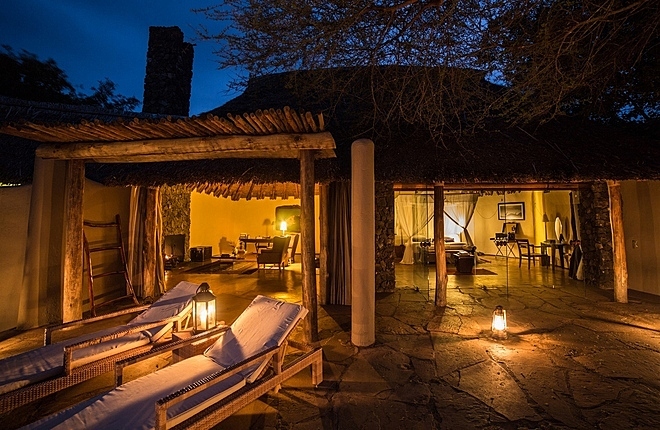 The villa comprises a generous lounge, and one king and one twin bedroom, each with a sleek en-suite bathroom with indoor and outdoor showers. 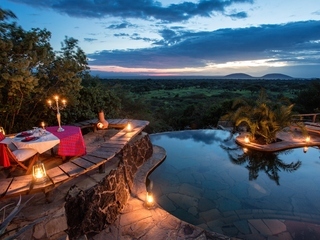 Outside, there’s a swimming pool, and two rooftop terraces equipped with four poster star beds and the viewing deck is perfect for enjoying spectacular sunsets.